The Unicorn Party Craze Continues! If you’ve got young kids, especially daughters, you’ll know just how popular the unicorn craze has become. Children up and down the country have gone unicorn mad, with everything from slime to t-shirts and cakes to fake nails now available in unicorn-themed options. Despite the fact that the market seems more or less saturated with products based on the theme, the demand for all things unicorn shows no signs of slowing. 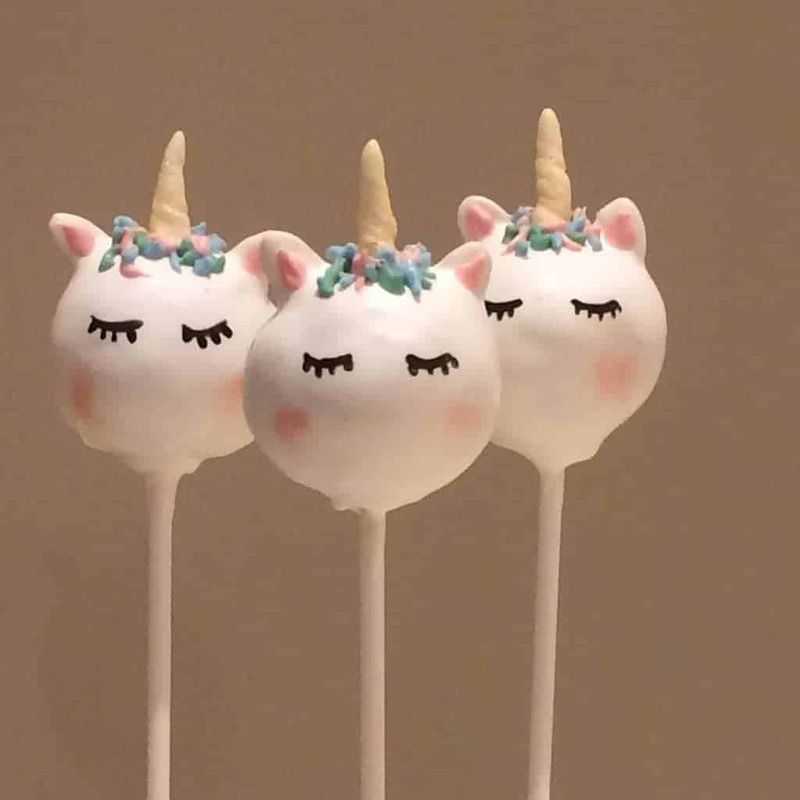 A result of this craze is that more and more kids are opting for unicorn-themed parties. A great choice for a child who just can’t get enough of rainbow-coloured cakes, accessories and costumes, unicorn parties give you the perfect excuse to flex your creative muscles, let your imagination run wild and throw a party your kids will remember forever. Your invitations will set the tone for your party. There are lots of pre-made, unicorn-themed invitations now available to buy online. These are an easy and affordable option for parents who don’t have the time or the budget to create more bespoke stationery. If you do have a little more time on your hands, you could think about making the invitations yourself. If you’re technically minded, use Photoshop or a similar programme to create a personalised invitation on your computer and then take the file to a local printer to create the finished product. Alternatively, if you prefer a hands-on approach, invest in some colourful paints and good-quality stationery and create your invitations the old-fashioned way. When it comes to decorating your venue for a unicorn-themed party, you can really go to town. Essentially, the more rainbow-coloured balloons, streamers, bunting and other accessories you can cram into your venue, the better. When planning the decorations for your unicorn-themed party, it’s a good idea to think about creating a feature wall. Select the wall behind your cake or snack table to create a focal point in your venue. A great way to create a feature wall is to make a mane of multi-coloured balloons or streamers and drape them across the wall as if they were covering the head of a unicorn. You can then create dark black eyelashes and a horn using cardboard and paint. Once complete, your feature wall should look eye-catching and colourful and form a great backdrop to your party. Unicorn cakes have almost become a craze in their own right, with more and more bakers opting to make these colourful and tasty sponges. If you’re making the cake yourself, you’ll need to bake multiple sponges, each coloured with a bright, bold edible dye. Once they’ve been cooked and cooled, stack the sponges in rainbow order and then cover them in thick butter cream, fondant or another sugary icing. Place an edible cone on top of the sponge and use black icing to draw on the eyelashes. You can then create a rainbow-coloured mane using a selection of mouth-watering sweets. If you don’t have the time or the baking skills to make a cake yourself, there are lots of bakers out there who will be happy to create a unicorn sponge for you. Make sure you give your chosen baker plenty of notice so that the sponge is perfect on the day. There are lots of ways to make your drinks table a little more interesting when hosting a unicorn party. If your party is taking place in the winter months, you could serve up a batch of hot chocolate and give your guests a bowl full of rainbow coloured marshmallows to pile on top. If you want to go even further, you could whip up some cream for the hot chocolate and dye it pink using a little food colouring. If you’re hosting a summer party, you can add a unicorn feel to your drinks by serving pink lemonade, pink squash and purple Ribena. Make your beverages even more colourful by freezing some juice or squash in ice cube trays and then placing these colourful pieces in your drinks before serving. Luckily for parents planning a unicorn birthday party, there is now a great choice of themed accessories available to buy. 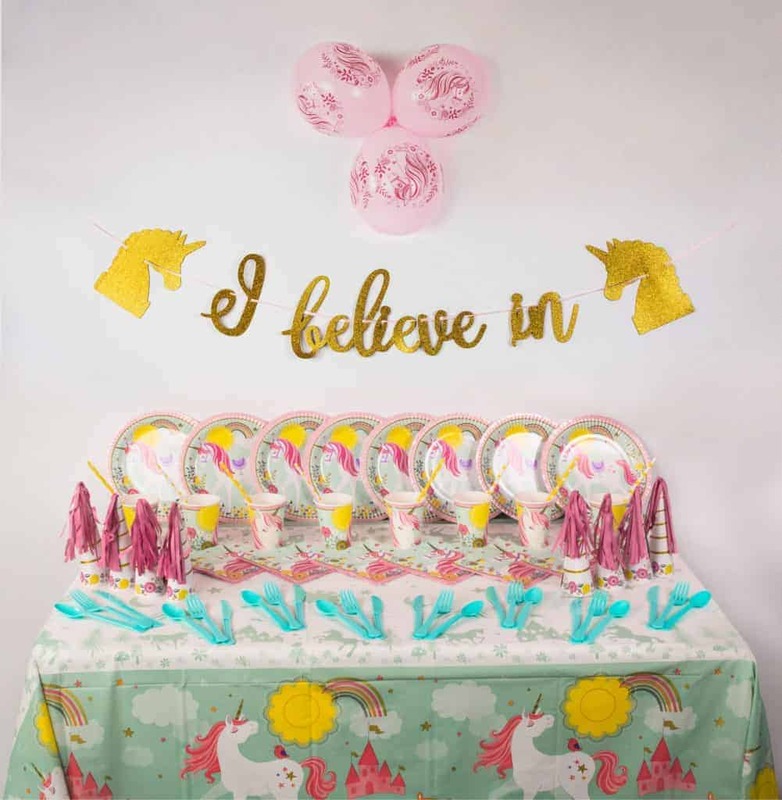 Invest in a batch of unicorn straws, unicorn cups, unicorn plates and unicorn tablecloths for your party and you’ll instantly transform the space into a bright, colourful wonderland. You could also make or buy some unicorn party hats for your guests to help get them in the party mood. Alternatively, hire a face painter to come along for the day and transform all your guests into rainbow-coloured unicorns. Entertainment is important for any party. Planning some fun games, or hiring a professional kids’ entertainer, will help to keep your guests happy and ensure the party goes with a swing. If you’re handling the entertainment yourself, you could set up a ‘pin the horn on the unicorn’ game, arrange a colourful disco or plan some competitive games to get your guests energised. However, if planning and running an afternoon of entertainment sounds too much like hard work, why not get a professional in to do the job for you? A skilled balloon animal maker will be able to create a stable full of inflatable unicorns while an experienced entertainer can lead the kids through the games or disco. Unicorn parties offer you and your kids the chance to have a lot of fun with decorations, accessories, drinks, menu ideas and entertainment. The more thought and planning you put into all these different elements, the more likely it is your party will be a success.